Gates - Roll-A-Way Conveyors Inc.
Manual or spring assisted gates can be used to provide access to personnel or equipment in other areas of the building. 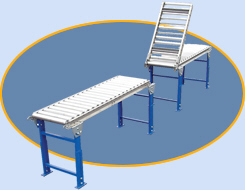 Used with skate wheel or roller conveyors. For special applications, consult factory.